Canada’s unemployment rose 11,000 in August, surprising analysts who had forecast a 10,000 jobs gain. 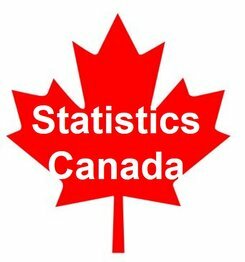 However, after botching figures last month, Statistics Canada’s latest Labor Force Survey was met with some skepticism. Economists described the figure as bizarre. How can a nation lose so many private-sector jobs during a post-recession economic rebound? August’s result contrasts with July’s 41,700 gain. That was July’s updated result, by the way. Originally, on August 8, Statistics Canada had reported a gain of just 200. If August’s results are accurate, unemployment remains unchanged at 7%, and compared to August 2013, employment has increased by 0.5% (81,000). Most of the gain over the past 12 months has been in part-time work. The total number of hours worked was virtually unchanged. Youths (aged 15 to 24): 20,000 decline, unemployment was little changed at 13.4%. Virtually unchanged compared to August 2013. Women (aged 25 to 54): 18,000 down, unemployment was little changed at 5.6%. Compared with August 2013, employment declined by 44,000 (-0.8%). Men (aged 25 to 54): 36,000 gain, the unemployment rate was 0.2% down to 6.1%. Compared with August 2013 employment increased 40,000 (+0.6%). Most of the gain occurred in August. Men & women (aged 55+): employment was little changed, unemployment rate 6%. Compared with August 2013, employment increased by 88,000 (+2.6%). Alberta: employment dropped by 13,000. The unemployment rate at 4.9% was little changed. There were 38,000 (+1.7%) more jobs compared to August 2013. Alberta posted the fastest 12-month growth. After July’s botched figures, few people believe these latest numbers are accurate. Newfoundland & Labrador: employment fell by 2,100. The unemployment rate increased by 1.1% percentage points to 13.5%. Compared to 12 months ago, employment fell 7,900 (-3.4%). Nova Scotia: employment was up 3,900. Unemployment declined by 0.6 of a percentage point to 8.8%. Compared to August 2013 employment fell by 9,000 (-2%). New Brunswick: employment increased by 3,600. Unemployment fell 1.3 percentage points to 8.7%. Employment was virtually unchanged compared to August 2013. Wholesale & Retail trade: there were 27,000 fewer jobs. Employment was virtually unchanged compared to a year earlier. Transportation & Warehousing: employment fell by 15,000. Compared to one year earlier employment increased by 29,000 (+3.4%). Construction: a gain of 24,000 jobs. Employment was virtually unchanged compared to August 2013. Professional, Scientific & Technical Services: there were 21,000 more jobs. Compared to one year earlier employment was up by 34,000 (+2.5%). Public Administration: an increase of 21,000 jobs. Compared to August 2013 there were 48,000 (+5.1%) more jobs. Private sector workers: after July’s gains, 112,000 job losses were posted in August. Self-employment rose by 87,000.